Hamilton Crossing is one of the many housing communities offering modern amenities and services through the Family Empowerment Program. Hamilton Crossing features 1, 2, and 3 bedroom apartment homes thoughtfully designed with comfort and convenience in mind. In addition to modern floor plans and maintenance-free living, the community offers a number of amenities. The community features on-site management and maintenance, spacious community room, and a computer lab. Hamilton Crossing is located a short distance from St. Joseph Mercy Hospital, Eastern Michigan University, Detroit Metropolitan Airport, and Ann Arbor. Hamilton Crossing is one of the many housing communities offering modern amenities and services through the Family Empowerment Program. Construction is complete for New Parkridge, a full demolition and replacement of eighty units (80) of public housing with eighty-six (86) units of new duplexes, townhouses and two multi-unit apartment buildings. The development provides a mix of one-bedroom (14), two-bedroom (41) and three-bedroom (31) units. Developed by the Ypsilanti Housing Commission (YHC) and Chesapeake Community Advisors (CCA), the site plan incorporates New Urbanism concepts, with the street grid reconnected to the surrounding neighborhood, new housing facing the street with porches and sidewalks to encourage an active neighborhood with "eyes on the street". The scale of the housing is appropriate for the residential neighborhood with primarily duplexes with individual driveways and open spaces. The site also includes playgrounds and a space for a community garden. The original Parkridge Homes development, located in Ypsilanti, was built in 1943 as housing for African-American workers at the Willow Run Bomber Plant. Designed by noted African-American Architect Hilyard Robinson, the development was a response to a housing shortage for area workers following an un­successful attempt to integrate Willow Run public housing. Parkridge Homes is integrally connected to the history of Willow Run, the Civil Rights movement in Washtenaw County, the Ypsilanti-area African-­American community, and architect Robinson. 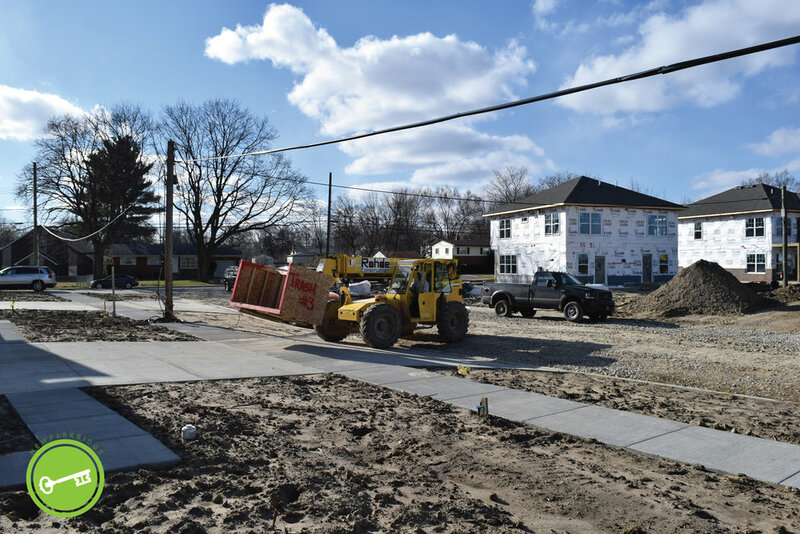 The new community building offers supportive services to all residents which enables improved access to affordable healthcare, education, job training, childcare, and other services for Ypsilanti's most vulnerable residents. Related to health services, individualized case management plans include coordination of provider services for primary health care, mental health services, dental care, assistance with Medicaid enrollment, health education and wellness programs, among others. Other services will include adult literacy and education, job training & placement and leadership training. The development is also located adjacent to the Parkridge Community Center, which offers a range of educational and recreational programming for youth and adults, including a summer camp for area children. 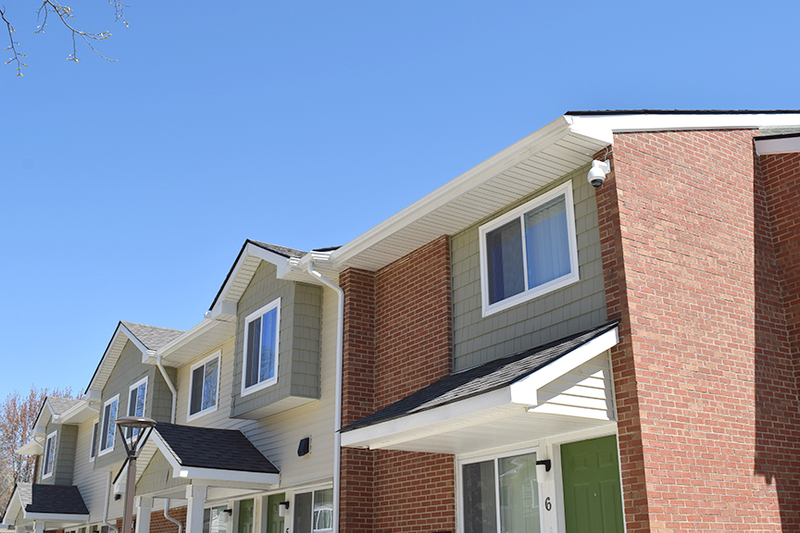 New Parkridge is a community made up of duplexes and multi-unit townhomes.. The waiting list status is currently closed. Sauk Trail Pointe is a community of two-story apartment units. The waiting list status is currently closed. History | The name Sauk Trail Pointe pays homage to the Sauk Trail, a Native American trail that passed through Ypsilanti along present-day Michigan Avenue, on which Sauk Trail Pointe is located. The Sauk Trail ran through Illinois, Indiana and Michigan. From west to east, the trail connected Rock Island on the Mississippi River to the Illinois River near modern Peru, with the trail along the north bank of that river to Joliet, and on to Valparaiso, Indiana. It then ran northeasterly to LaPorte and into southern Michigan through Niles, Three Rivers, and Ypsilanti, ending at the Detroit River. The trail followed a winding path along the ridges of dune and moraines that marked the earlier glacial period Lake Michigan shorelines. European settlers improved the trail into a wagon road and later into modern highways. Hollow Creek is a community of two-story apartment units. The waiting list status is currently closed. Towner is a community of one-story, 1 & 2 bedroom apartment units. All one-bedroom units in Deborah Strong Housing have a waiting-list preference for elderly applicants. The waiting list status is currently closed.